Master this impressive feat with our two-workout, all-week-long plan. Pushups may be the best move around to build your chest, shoulders, and arms—and nothing says more about your strength and endurance than blasting out 100 reps in one shot. Here’s a plan to get you there, no matter what your current pushup power is. 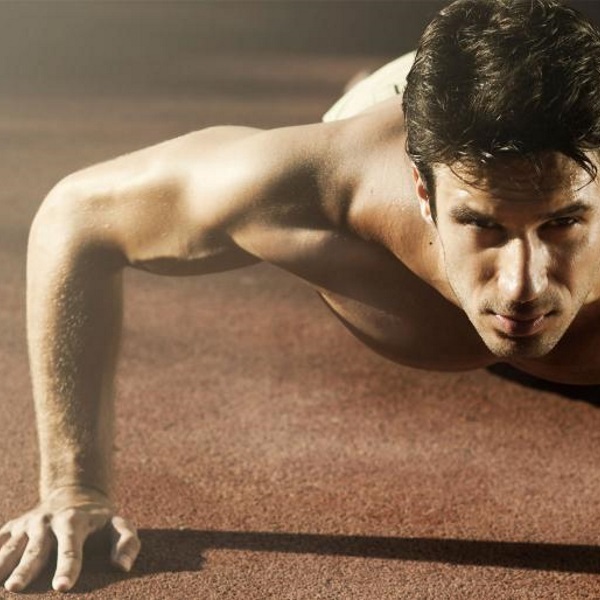 Start by figuring out how many pushups you can perform with good form. This is your current max. Every two weeks, take two days off and then retest your max. Perform four times your max number of reps, taking as long as you need to do so. It’s OK if subsequent sets have fewer reps than your max. Set an alarm to go off five times throughout the day (every two to three hours is fine). Each time it sounds, hit the deck and do two sets of pushups. The first set should just be your max number. Rest 45 seconds, and then perform the second set, trying to reach your max again, resting as little as possible until you do.